Bath Towels: Unless they are virtually new, bath towels will have no re-sale potential. 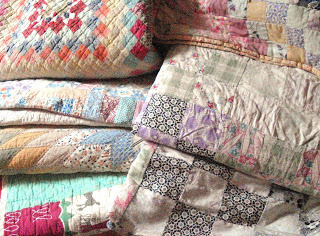 If you can’t use them for rags, Goodwill or similar will accept them for recycling. 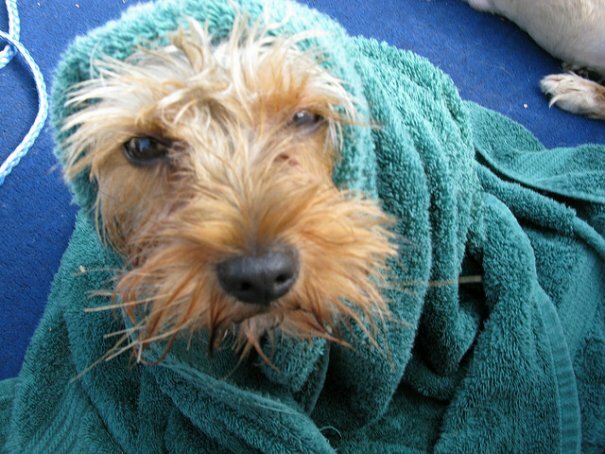 The best idea I’ve heard–take old towels to an animal shelter or the SPCA and donate them there. 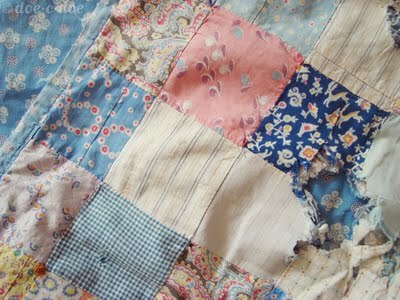 For those who plan to keep the linens you inherit and need to wash them, she recommends putting equal parts of 1) Tide with bleach in the soap powder form, 2) Biz (a non chlorine whitener), and 3) 20 Mule Team Borax in hot water and soaking stained items for one to four days. Rinse two or three times. Air dry flat, in the sun, if possible. Troublesome? Yes, tracking down those ingredients will be a minor hassle. If you don’t want to bother, take your vintage linens to an antiques show and seek out the dealers with the nicest displays. As always, get more than one estimate. 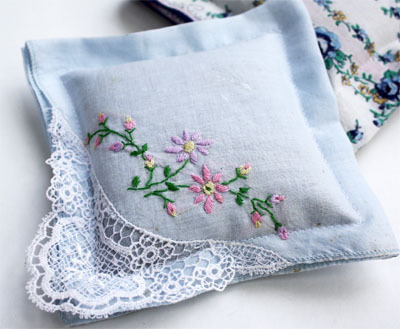 Decorative old handkerchiefs are quite collectible today. Even monogrammed ones. 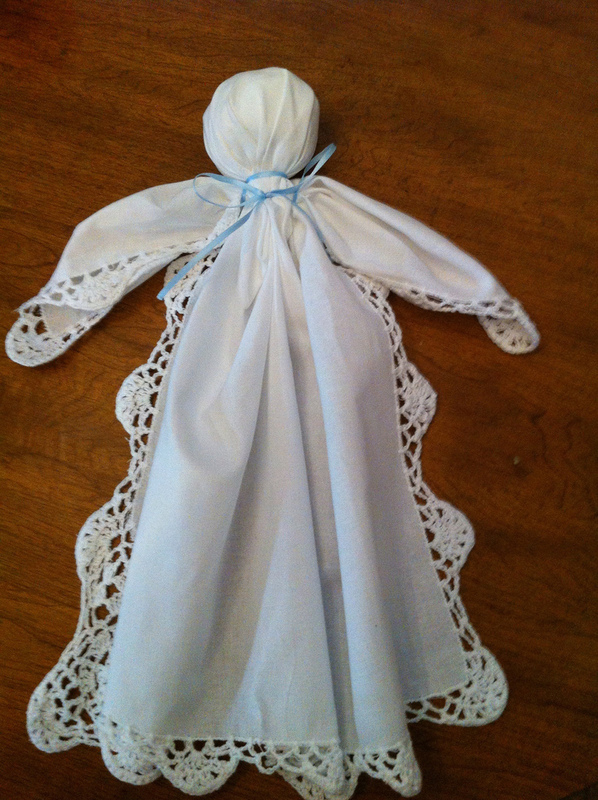 People buy them for brides (“something old”) or bridesmaids or to make lavender sachets or handkerchief dolls. Others press them between two pieces of Plexiglas and hang them in a window. 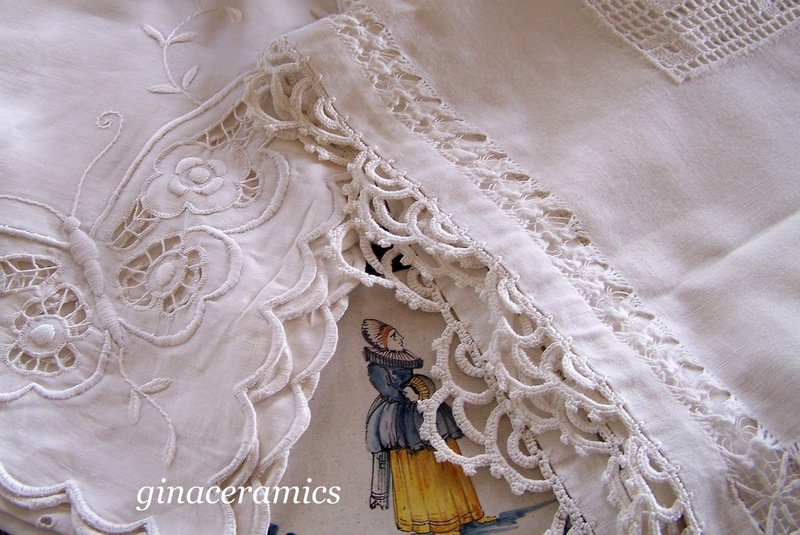 Easy to sell on eBay or to vendors at antique shows who specialize in textiles.